YOU OWN THE PLACE.. BECAUSE YOU DO! 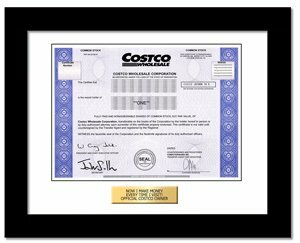 Costco Wholesale Corporation operates membership warehouses that offer a selection of branded and private label products in a no-frills and self-service warehouse facilities. Owning one share of Costco Wholesale Corporation is a truly unique gift.